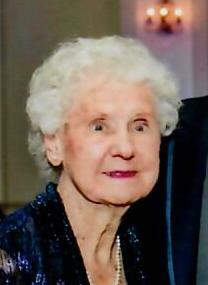 Obituary for Helen S. Paul | Cyril F. Mullins Funeral Home Inc.
Helen “Jerzyk” Paul, age 92, of Derby, passed away Feb. 11, 2019 at Yale New Haven Hospital surrounded by her loved ones. Helen was born in Bridgeport, CT to the late Stanley and Sophie Jerzyk. She was a longtime employee of Walden Books and an avid book reader. She was a devout Catholic and a parishioner of St. Michael the Archangel Church. She was predeceased by her beloved husband Joseph A. Paul, a retired Bridgeport police officer. She is survived by her three devoted daughters Gerrie Maixner and her husband Bob, Maryann Clapes, Linda Cheever and her husband Ed; four loving grandchildren Kristie, Jeff, his wife Pam and their two children Ryan and Tyler, Tim and his wife Lindsey, and Patrick. She also leaves behind her sister Gene Mieczkowski. Helen enjoyed spending time at the Derby and Ansonia Senior Centers playing Bingo and Pinochle with her friends. Friends are invited to attend her funeral services on Friday at 9:15 am at the Cyril F. Mullins Funeral Home, 399 White Plains Road, Trumbull, CT, followed by Mass at 10:00 a.m. at St. Michael Archangel Church, 310 Pulaski Street, Bridgeport. Interment in Lakeview Cemetery. Friends may call on Thursday from 4:00-8:00 p.m.